Today was Day #2 of Chocolate and Pumpkin Theme Week, and this Pumpkin Spice Bark from Jo's Candies (Torrance, CA), with swirls of chocolate and redolent of pumpkin pie-style spices, fit the theme. 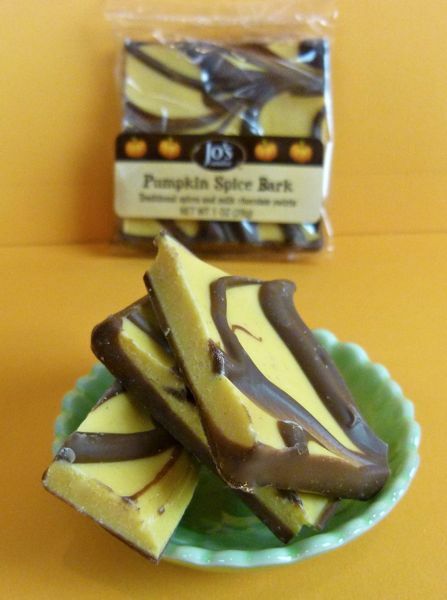 The smooth bark was made with pumpkin-flavored white orange chocolate, decorated with milk chocolate. A little sweet, but perfectly seasonal.